Evel Knievel. Uttering his hallowed name was the only introduction Americana’s legendary stuntman ever needed. Over the course of his career, Evel – real name Robert Craig Knievel – attempted more than 75 career jumps, with the majority of his stunts performed upon Harley-Davidson’s XR-750 motorcycle. With such brand association, this 1998 California Motor Company limited edition remains somewhat of a curiosity. Renowned for employing Harleys and the Triumph Bonneville, Knievel then signed with the new marque in 1997 to release an Evel Knievel-inspired Motorcycle. However, this was no stunt bike. 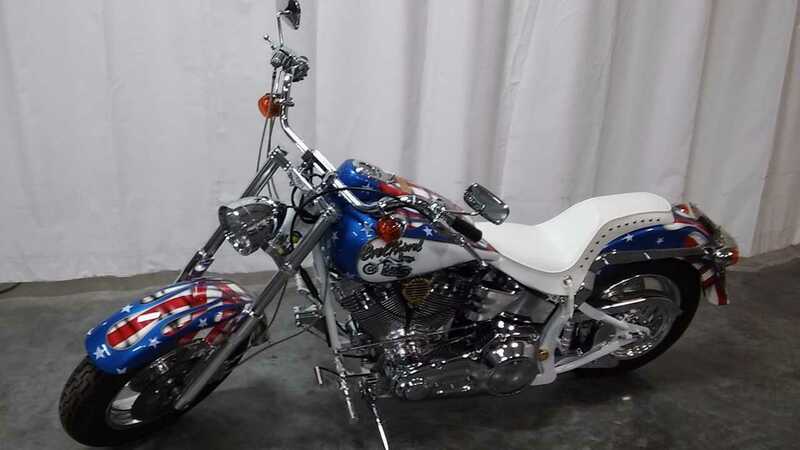 You wouldn’t want to attempt any stunt action from behind the handlebars, for the 1998 California Motor Company Evel Knievel Limited Edition was launched as a V-twin cruiser conceived to wage war on the streets. 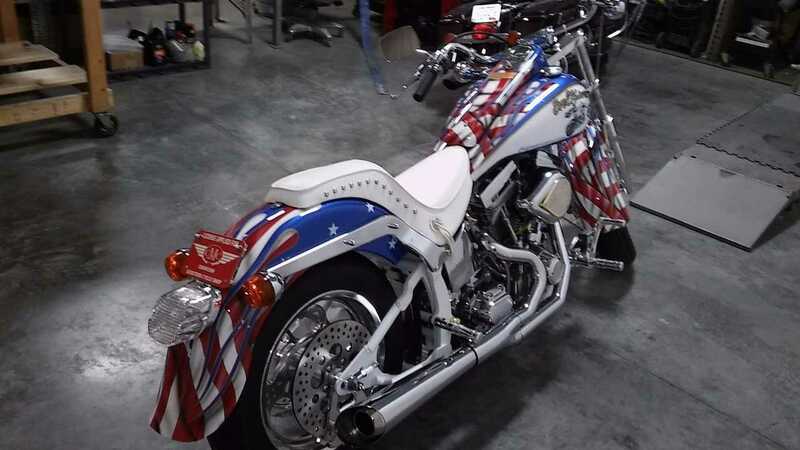 Signed by the daredevil on both the tank dash plate and seat, the special cruiser was draped with American flag motifs and powered courtesy of an S&S 88 cubic-inch powerplant offering 75-horsepower. As far as cruiser bikes go, this one ticked all the boxes on paper. Yet, sales were slow and very few found homes. One client was none other than Tony Hawk. Promoting the bike throughout his various public appearances, often with the aid of son Robbie, Knievel then returned to riding modern street Harley-Davidson motorcycles after the California Motor Company folded in 2003. Although each bike was given a designated number that claimed 500 were produced, in reality only 70 examples left the production line; making these machines a seriously rare collectors’ prospect. This one is production bike number 27. Having undergone a comprehensive restoration, we would wager that the asking price of $22,900 (or $359 per month) is somewhat of a bargain. Especially as other surviving specimens often command upwards of $40k. Also included in the sale is the original California Motorcycle Company owners manual, copy of its California title, warranty information and a pre-delivery inspection sheet from CMC. 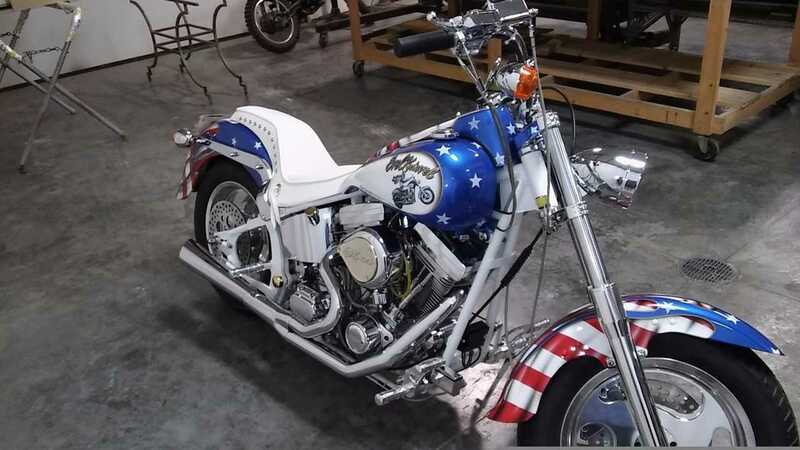 While most of Evel’s bikes lurk behind museum display glass or reside within private collections, this is one you can enjoy and ride instead of simply admiring. Get a closer look at the seldom-seen bike here.